Several years ago Batman personally put the Barrera family into hiding after they suffered through terrible experiments at the hands of an organization called the Ark. Now all but one of them have turned up dead...and Batman needs to locate Sofia Barrera before the wrong people get their hands on her—and her surprising power! But it wouldn’t be Batman without a hidden agenda, would it? And when Black Lightning, Katana, the Signal and Orphan find out what Batman is really up to, their every loyalty will be called into question. capture and imprison Deathstroke has backfired in the worst possible way. Mercy Hall is on lockdown, and all the super-villains have escaped their cells! As the villains team up to take down their captors, Deathstroke makes one final attempt at “fixing” Damian—will Damian finally abandon Batman’s code to save his friends from certain death? surprising plan for the son of Batman! Teen daredevil Miguel and runaway Summer travel to the home of the Flash in Central City to steal back the H-Dial as a secret former wielder of the powerful device swears to do anything to become a hero again—including handing the dial to Mr. Thunderbolt, the villainous entity working to steal the Dial. But it’s hard to work together when you can’t trust your partners...so it’s time for the mysterious Summer to reveal her past to Miguel! Is he in faerie, or among damned screams...? “The Flash Year One” starts here! Barry Allen feels helpless in his life in Central City. As a forensic scientist, he’s always catching criminals after they’ve committed their crimes. All that changes one fateful night when Barry is struck by a bolt of lightning and doused in chemicals. When he wakes from a coma, he realizes he can run at incredible speeds. Can Barry master these powers and be the hero his city needs...or will the powers burn through him? victory. But just as defeat of the Nazi regime seems in sight, Hitler II has one more trick up his sleeve…and this one is Kryptonian. It’s Overman versus the Freedom Fighters in the slugfest to end all slugfests, and this shock ending will leave you breathless! In this issue, Mad skewers your favorite childhood movie, “Willy Wonka and the Chocolate Factory”! Plus, Sergio Aragonés looks at Captain Marvel...no, not Shazam!—the other one! This DC Essential Edition collects the “Batman & Son” epic and the “Black Glove” saga in one volume for the first time! 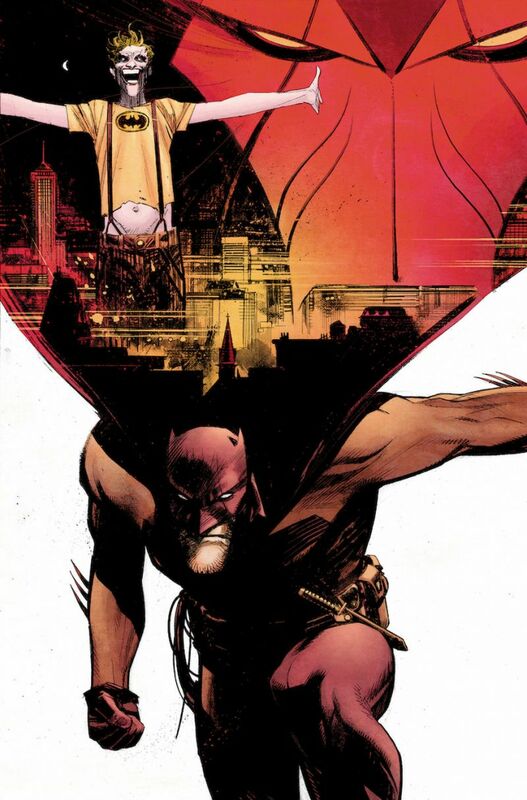 Batman is in for the shock of his life when he discovers that he has a son, Damian! Then, mysterious Batman impostors are appearing throughout Gotham City. To solve this enigma, Batman must confront the childhood trauma that made him the Dark Knight—the murder of his parents on that fateful night in Crime Alley. Collects BATMAN #655-658 and #663-675 and stories from 52 #30 and #47, along with pages from “The Resurrection of Ra’s al Ghul” from BATMAN BY GRANT MORRISON OMNIBUS VOL. 1. The first new series from DC Black Label is collected in a spectacular new hardcover! BATMAN: DAMNED is an epic supernatural horror graphic novel told by two of comics’ greatest modern storytellers, Brian Azzarello and Lee Bermejo. The DC Black Label collected edition is available in comic shops September 4 with an unabridged narrative and revised periodical art. This new collection includes a sketch gallery and other bonus features. The classic Batman tale is back from DC Black Label! In his first year on the job, Batman feels his way around a Gotham City far darker than the one he left. His solemn vow to extinguish the town’s criminal element is only half the battle; along with Lieutenant James Gordon, the Dark Knight must also fight a police force more corrupt than the scum in the streets. Collects BATMAN #404-407. This new, oversize art book captures some of Jim Lee’s most dynamic artwork from his decades in the comics industry. 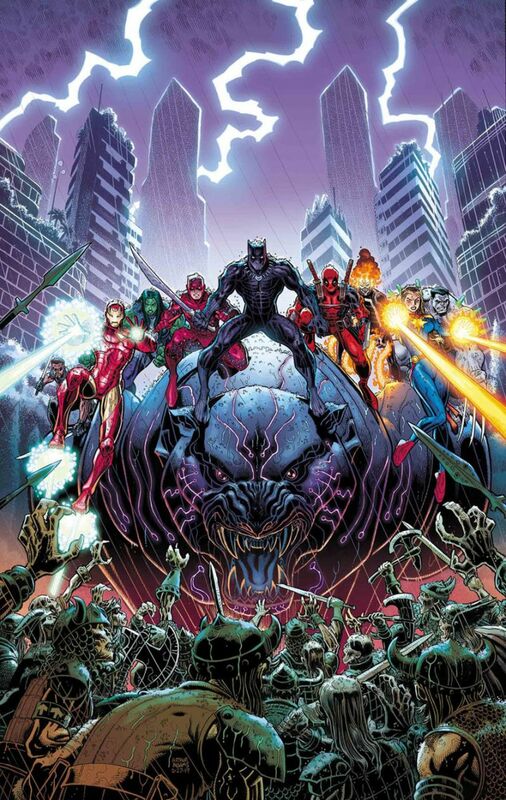 From his early work with WildStorm Productions to his recent turns drawing the greatest heroes in the DC Universe, this title collects hundreds covers and behind-the-scenes art from the artist’s career. See why Jim Lee is considered the greatest comics artist of his generation with this extraordinary collection! This title was previously solicited as GRAPHIC INK: THE DC COMICS ART OF JIM LEE. This collection includes 20 of Cho’s most memorable DC covers starring Harley Quinn, Wonder Woman and more! Printed on heavy cardstock paper at a big 12 inches by 16 inches, the pages of the POSTER PORTFOLIOS are easily removed from the binding and are suitable for framing. The amazing 1000th issue of DETECTIVE COMICS is collected in this new Deluxe Edition hardcover, including a new story written by Robert Venditti with art by Steven Segovia! This amazing collection is stacked with an unbelievable lineup of talent that will take you on a journey through Batman’s past, present and future...plus a sensational epilogue that features the first-ever DC Universe appearance of the deadly Arkham Knight! But who is under the mask? And why do they want Batman dead? The incredible future of Batman adventures begins here! In these tales from The Dreaming #1-6 and THE Sandman Universe Special #1, Lord Daniel’s absence triggers crimes and calamities that consume the lives of those already tangled in his fate. Until he is found, his realm’s residents must protect its broken borders alone. But the most senior story-tellers are tormented by invasive secrets, Lucien is doubting his own mind, and beyond the gates, something horrific awaits with tooth and talon. Spinning out of the events of Dark Nights: Metal! An explorer of the ancient and unknown, Hawkman finds himself embroiled in a long-standing mision to discover the true purpose of his many reincarnations. Carter Hall will race around the globe trying to piece together an ancient prophecy, but will he be able to face down his own past lives lurking around every corner? Collects Hawkman #1-6. “Polly Peachpit.” Those were the words 10-year-old Brinke Calle said when she was found covered in her own blood by the woods in rural Cannon Falls. Her best friend, Melba, had just attempted to murder her because a spider girl named Polly Peachpit told her to. Since that day, Melba has spent seven years in a mental health facility. Tomorrow is her 18th birthday. Tomorrow she’ll be transferred to a federal prison. Tomorrow her real sentence will begin. That is, until she receives a visit from FBI Agent Virgil Crockett. Crockett explains that there is another world beyond ours, where hungry, spectral aliens stalk the minds of the impressionable and weak. These things, called IMPs (Interdimensional Mental Parasites) feed on compliance. They convince hosts to do things for them, and the more they feed, the stronger they become. More IMPs stream into the world each day, invisible to everyone but his or her hosts. The best-selling comics series based on the video game franchise are collected in a massive omnibus edition including Injustice: Gods Among Us #1-12, Injustice: Gods Among Us Annual #1, Injustice: Gods Among Us: Year Two #1-12, Injustice: Gods Among Us: Year Two Annual #1, Injustice: Gods Among Us: Year Three #1-12 and Injustice: Gods Among Us: Year Three Annual #1. Collected from the five-issue miniseries LEX LUTHOR: MAN OF STEEL by the writer/artist team behind BATMAN: DAMNED, LUTHOR reveals why the genius villain chooses to be the proverbial thorn in the Man of Steel’s side: to save humanity from the untrustworthy alien being. Includes new additional story pages, sketch material and more! This is the one true tale of what befell the Prince of Lies, the Bringer of Light—Lucifer. The blind, destitute old man, who lives in a small boarding house in a quiet little town, where nothing is quite what it seems and no one can leave. He’s trapped, you see? Trapped in a bizarre prison with no memory of how he got there or why. He has no recollection of setting out to find his offspring. He also does not remember that if he does not find him it could be the end of all things. Meanwhile, in Los Angeles, a cop who may have brain cancer is tasked with a mission: find and kill Lucifer. Collects Lucifer #1-6 and The Sandman Universe Special #1. After liberating New York City from her now-feral Gang of Harleys, poor Harley wants nothing more than to slip back into retirement in her coastal (and heavily guarded) paradise. But the Laughing Boys gang has another idea—they’ll follow her to the ends of the Earth, to drag her back to their leader! It can’t actually be...him! Right?! He couldn’t possibly still be alive, could he? After all...Harley killed him herself with her bare hands! Should she turn to President Power Girl for help? Or flee to the 51st state, Atlantis? Step into an insane vision of a future DC Universe we all better hope we don’t live to see! Collects the five-issue miniseries and HARLEY QUINN #42! In these stories from POWERS #19-30 and ANNUAL #1, all powers cases are now federal cases. Christian Walker and Deena Pilgrim are now federal agents and must learn to live by the new rules. Will this new life close the closet full of skeletons Deena carries with her? Nope. Walker and Deana are up to their necks in the most dangerous chase of their careers when they’re faced with a case so dangerous it will take more than just their expertise to solve. Also, Deena is pregnant! So there’s that. Get on board the series that shows cops and capes like you’ve never seen them before! Banished from Gotham City and estranged from the Outlaws, Red Hood takes up residence in Appleton, a town that’s a secret haven for criminals. And when he gets his hands on a crowbar and starts handing out some bloody justice, it really stirs up the hornet’s nest...Now rogue players in the Underlife decide to team to take him down. Collects Red Hood and the Outlaws Annual #2 and RED HOOD: OUTLAW #26-31 and a treasure trove of behind-the-scenes artwork. In the longest-ever SANDMAN story, Morpheus becomes the prey of the Furies—avenging spirits who torment those who spill family blood. A journey both begins and ends for the Lord of Dreams as threads and pieces building since the beginning of the series finally come together in a thrilling climax that forever changes the world of The Sandman. Since the dawn of the Rebirth era, Mr. Oz has been plotting against DC’s heroes. But when Mr. Oz at last steps from the shadows, his true identity rocks the Man of Steel to his core. And if Superman refuses to join Mr. Oz’s cause, maybe Superboy will! The stakes are raised when the Last Son of Krypton is forced to choose between his son and his adopted home planet. Collects ACTION COMICS #985-992. Alan Moore’s legendary run of Swamp Thing tales is collected in Absolute format at last, completely recolored for this new edition! This first of three volumes includes Moore’s first Swamp Thing story, issue #20’s “Loose Ends,” a prelude to his haunting origin story, “The Anatomy Lesson,” which reshapes Swamp Thing’s mythology with terrifying revelations. Collects Saga Of The Swamp Thing #20-34 and Swamp Thing Annual #2. In Millennium City, the Terrifics are horrified as they find Tom Strong’s lab destroyed and his loyal A.I. aide Pneuman shattered into pieces. To make matters worse, a mystical cosmic tree transports the team to the other end of the universe! Collects THE TERRIFICS #7-12 plus stories from THE TERRIFICS ANNUAL #1. Stranded on an alien planet, the Teen Titans are forced to fight their own inner demons. Then, the Titans must square off against a savage and gargantuan Beast Boy! Can the Titans maintain their fractured team in the face of extraterrestrial adversity and sinister secrets coming to light? Collects issues #29-36. Years ago, the five families of organized crime had such a stranglehold over the American public that the U.S. government found itself forced to give up part of the country or lose all of it. Now the unrest between America and the families has come to a boil. A war is about to come—a war no one is ready for. Newly made man Valentine Gallo and mob hit woman Jagger Rose find themselves torn over which side of the war they want to be on. 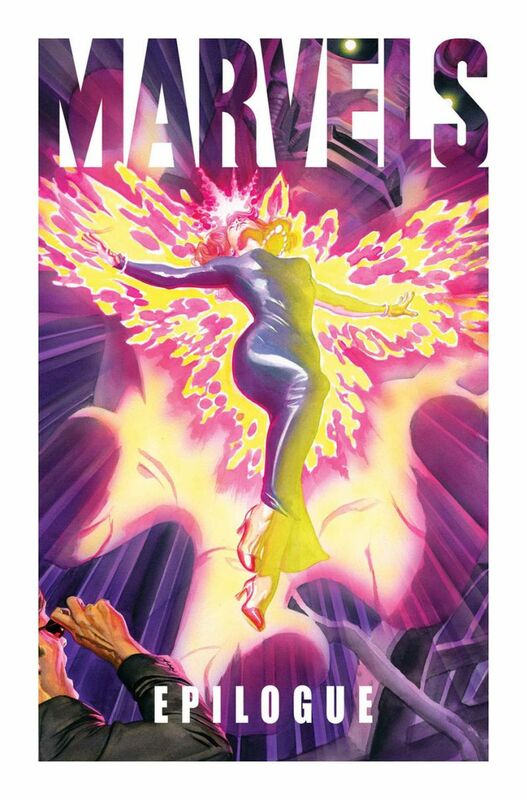 Collects the new six-issue miniseries! In these tales from the late 1940s, Wonder Woman travels back to the 19th century to save a tribe of Incan women, helps a boxer who’s accused of murder, breaks up a ring of counterfeiters and more! Plus, Wonder Woman and the Holliday Girls accidentally land on Mercury and must find a way home. Collects Sensation Comics #70-89, Wonder Woman #26-34 and Comic Cavalcade #23-29. Técnicos! Rudos! Superhero and wrestling fans—“¡A la lucha!” The wrestling collectible event of the year is here! From the team at DC Collectibles comes a joyful and imaginative new universe that combines the enthralling world of Mexican wrestling and the heroic history of DC Comics: DC ¡LUCHA EXPLOSIVA! This all-new line of 7" action figures take its roots from the deep history of Lucha Libre and Mexican luchadores. Each figure is a Latin American-inspired reimagining of a classic DC hero or villain, complete with an all-new backstory drawn from Mexico’s rich cultural history. With six figures set for release in 2019 and more coming in the years following, fans will be able to create epic storylines of betrayal and redemption, alliances made and broken and emerging heroes and villains. Which figure will you choose to be the campeón? The BATMAN BLACK & WHITE line brings to life interpretations of the World’s Greatest Detective and select Gotham City characters from the comics industry’s brightest stars. The menacing force behind DARK NIGHTS: METAL is back for a second BATMAN BLACK & WHITE statue. That’s right, the evil, the charming, the Batman Who Laughs has returned. This striking, villainous creation with the power to make nightmares shudder is a twisted hybrid of Batman and his archnemesis The Joker. DC Artists Alley is a stylized collection based on designs from some of today’s cutting-edge artists. Channeling the comic convention experience, DC Artists Alley brings unique, artistic viewpoints to the DC Universe through highly detailed, limited-edition designer vinyl. To fully match the Artist Alley origins of the figures, each box includes a print featuring the original artwork the figure is based on. The latest artist to join the collection is the monster-obsessed, multi-medium former Madballs creator James Groman. His style is highlighted with delightfully exaggerated and gory details—exposed muscle fibers, superfluous layers of teeth and rippling and calloused skin. Growing up, he was more into movie monsters than superheroes, but always held a special fondness for Batman and his unparalleled rogues gallery. His reimaginings of these beloved characters will evoke both wonder and terror from fans around the globe. Good. Better. Best. DC Prime. From the team at DC Collectibles comes THE premium-grade action figure line for DC characters. These nine-inch highly poseable collectibles come with multiple pairs of hands and accessories, so fans can create their own ultimate renditions of their favorite characters. To help bring these figures to life, the team at DC Collectibles brought on concept designer Riccardo Federici, as well as sculptor and figure designer Wonil Song, to breathe life into these extraordinary action figures. For the first release from the DC Prime line, the team could think of no better hero than the Dark Knight himself—Batman. This massive collectible was carefully designed to be the ultimate Batman action figure. With over 23 different points of articulation, multiple pairs of hands, a wired fabric cape and three unique heads, there are thousands of unique Dark Knight moments just waiting to be created. For those fans looking for the best-in-class Batman collectibles—your action figure has arrived. Greg Horn’s bold, highly detailed style has helped him become one of the most recognizable cover artists in comics today. His take on a Harley Quinn joined with the mysterious Batman Who Laughs is a visceral delight for fans of the character. Cast in polyresin, the design is based on Horn’s variant cover from DARK KNIGHTS: METAL. The latest and final release of the Bat-Family collection is the mercurial Red Hood. 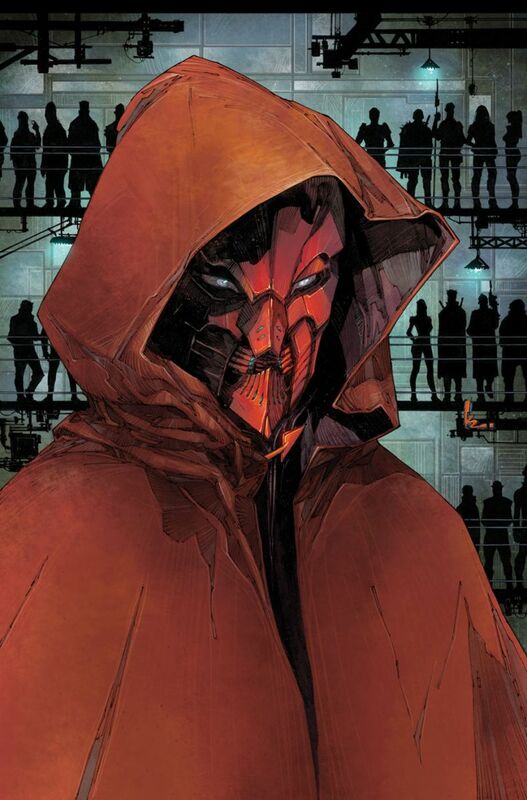 Set up on the flanking side of the family, Red Hood is heavily armed and ready to surveil the night for enemies. Cast with hints to both his Bat and vigilante origins, his figure features a crest on the armor plate, but he wears his trademark leather jacket atop it. This piece will stand out by itself, but as the final piece to the Bat-Family five-part set, it completes a must-own collection for any DC fan’s home.